19 | August | 2010 | Through the seasons before us.. The Reds recommence their hunt for the first win of the season at the Madejski Stadium (I must have typed Majewski about five times then!). Our hosts have had a pretty much identical league start to us – losing on the opening day (at home to Scunthorpe), and picking up a draw at Fratton Park last week against Portsmouth. They did however win in extra time against Torquay in the cup. So both sides will be eager to get a first three points on the board, the one fairly inconsequential but strangely headline-driving squad consideration is whether or not one-time Forest transfer target Matt Mills is fit for the encounter. Having seen him in action a few times, I’m not that sorry things didn’t work out (although at the time who would’ve thought Wes and Wils would’ve stepped up so admirably to the plate?). Shane Long is a doubt through injury too, whilst Jay Tabb is out with an ankle injury. Luckily for Reading, they have a bigger squad than we do – so I imagine will still provide a stern test. Forest will be looking to build on their opening 20 minutes against Leeds, if we can approximate that level of performance for longer then we’d be a handful for any team. If we play like in the rest of that game, we won’t! On a Forest personnel front are likely to end up with Gunter suspended after his shenanigans against Leeds, there’s been no word from the club as to whether they’re taking the ban offered to him or appealing. It seems silly to appeal in my view, because it won’t be overturned – it’s pretty clear he did wrong, it’s just a shame that the FA decided to focus on him and ignore the actions of the Leeds players. But that’s the FA, innit? I wonder whether the fact that the authorities deem their matchday officials to have been inaccurate in the action they took against Gunter during the game will reflect on the performance of those officials? I was always under the impression that if an incident was dealt with in the game by a match official then retrospective punishment is not applicable. I wonder why they didn’t look at the Leeds players stamping on Camp’s foot, or those that struck out at Gunter. So a likely return for Luke Chambers at rightback I would have thought, or perhaps an outside punt on Moloney. As far as I’m aware we have no other issues likely to be keeping people out – aside from McGoldrick’s longer term injury. Let’s face it, we’ve all but given up on new signings so I shan’t even consider that eventuality. I envisage a similar starting line-up to the Leeds game less Gunter. As for results, well, who knows? 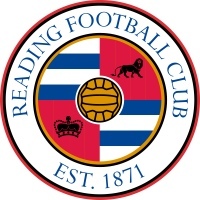 Reading have been slow out of the blocks this season – but have a decent squad and manager, the Reds have shown capabilities ranging from sublime to ridiculous – so it really makes it a futile exercise to try to predict anything. I’d really like to get an away win under our belts, though. That would cheer us up in the face of such lack of information from the club and lack of signings. On that note, it probably doesn’t justify it’s own story – but this thread on Vital Forest is causing a bit of a stir. Personally I’m of the belief it’s one of the many wind-up merchants we’ve encountered this summer – after all, a flight from Glasgow to Nottingham doesn’t last that long, does it?! I know Billy’s a bit of a gobshite, but to have basically conducted a monologue to a complete stranger for the duration of a flight seems rather strange behaviour.